Luxurious, low-maintenance decking? Yes. Creating a beautiful basecamp for that great canopy of sky you get to call your own? Even better. And for this, Trex® has thought of everything, from the shady trellis you’ll park under at high noon to the patio furniture that’ll weather decades of partying to the lighting that’ll let your outdoors stay open even later. 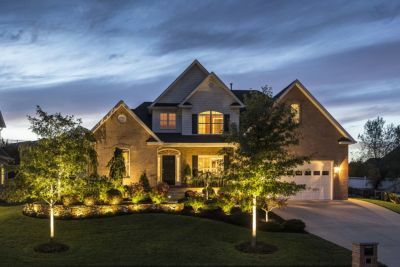 Enhance curb appeal with energy-efficient deck and landscape lighting. Where high-performance illumination meets understated glamour.